I just edited the kexts. 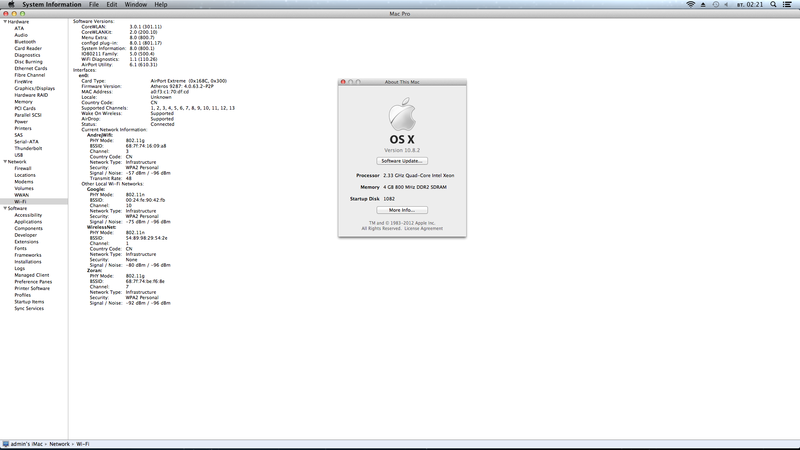 I've tested on 10.7.3,10.8 through 10.8.3. It works.I still need someone to try it on 10.8.5. I think this WILL cause a kernel panic after a few minutes on i5/i7, but still, give it a shot.I'm using a core2quad and it works just fine. This is for the AR9227 chipset, not AR9287.The N version is the one with the 9287, ND is with the 9227.
show wireless router near me but not connect on 10.8.4 why? I have no idea, I couldn't even get it to show me the card in Network Preferences when I had 10.8.4.
make for Wn751ND With AR9227 Dev Id 168c,2d can you make for mavericks? i need DSDT code too !! for kernel panic problem, check instructions here on the card.